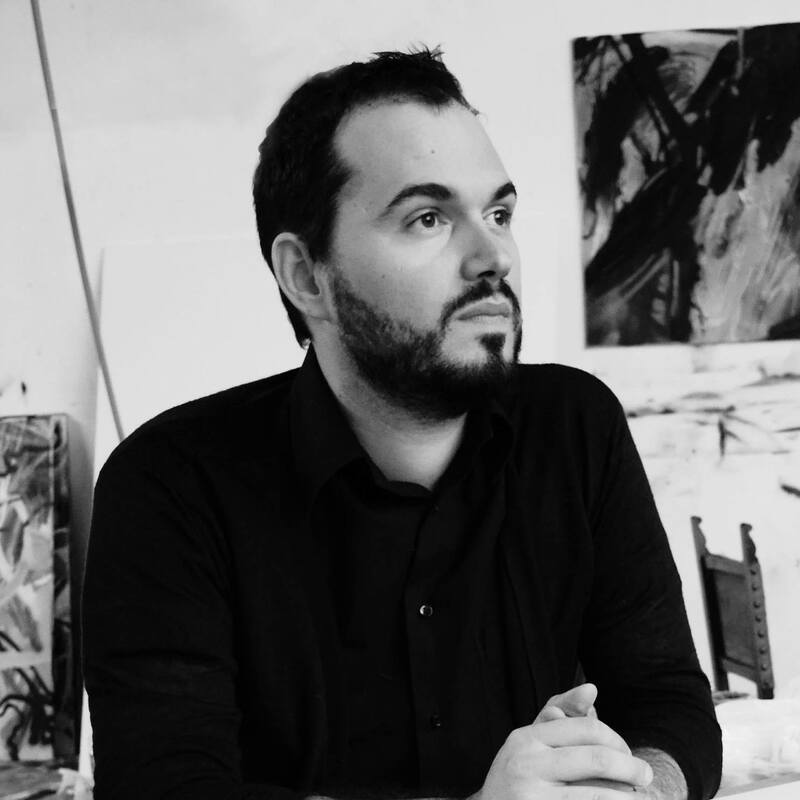 Italian artist Marco Scarpelli chose Gallery Sun and Art Taipei to be his debut in Asia. Marco comes from a family with art heritage, now lives and work in Florence. His abstract paintings portrait the uncertainty and fragility of reality we perceived. Each of his stroke, Marco brings the symbol of water and its contradictory characteristics; water can bring fertility to the land but can also cause mass destructions. These are the conflict and the symbol of duality he wants to show.